1. There is a risk of defaults. 2. A muni’s value may change for reasons having nothing to do with the financial condition of the issuer, such as a change in interest rates. 3. Information about financial problems that affect the bond’s issuer has not always been readily available to investors. 4. The current market value of a muni bond may be hard to determine because many municipal bonds trade infrequently. 5. The overall credit rating of a muni bond may be more reflective of that protection than of the financial condition of the issuer. Investors considering an investment in municipal bonds should carefully evaluate each investment. FINRA published the following checklist to help assess the risks of municipal bond investing. Verify the type of bond (general obligation vs. revenue), and make sure you understand the bond’s terms and risk factors. Ask to see—and read or have your broker review with you—the bond’s Official Statement before you purchase a bond, particularly if it is a new issue. The Official Statement will be a valuable tool for understanding the terms of any bond you might buy in the secondary market, but be aware that the financial and operating data may have been superseded by the issuer’s on-going disclosures. Confirm with your broker whether the issuer is current in its disclosure filings and be sure to review the information in the on-going disclosures. Be wary of bonds whose issuers are not current in their disclosure filings. Keep tabs on your bond’s credit rating and the issuer’s creditworthiness. Has the issuer of the bond recently been downgraded? Has the issuer filed any default or other material event notices? If the bond is insured or otherwise backed by a third-party, verify the credit rating of the bond insurer or other backing. 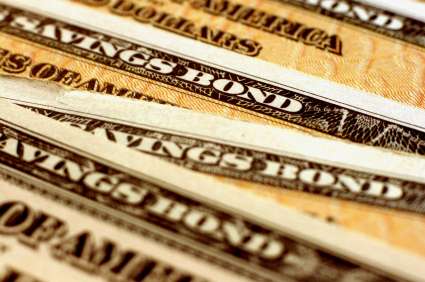 If you buy a bond in the secondary market, be sure to ask why the bond is priced as it is. Be aware that the price of a bond can be priced above or below its par value for many reasons, including changes in the creditworthiness of a bond’s issuer and a host of other factors, including prevailing interest rates. Understand how the bond’s interest will be paid. Most muni bonds pay semiannually, but zero coupon municipal bonds pay all interest at the time the bond matures and the principal is returned. Variable rate bonds typically will pay interest more frequently, usually on a monthly basis in variable amounts. Understand the bond’s tax implications, including the possibility that your bond may be subject to the federal Alternative Minimum Tax (AMT) or may be fully taxable. Also understand whether the bond enjoys any state tax benefits. Consider consulting a tax professional before buying a muni. Know a bond’s call provisions. Call provisions allow the issuer to retire the bond before it matures. You can find the call provisions in the Official Statement. Know what you are paying for your bond, which will be reported on your confirmation statement. Most bonds are sold without a commission—instead, the broker usually is compensated through a dealer’s spread, or profit, which is included within the price. If a commission is charged, this will also be reported on your confirmation statement. Review your confirmation statement to be sure the information is accurate and in line with what you were told by your broker and contained in the Official Statement. Investing in fixed income oriented investments, like municipal bonds, has risks that should be explained to the investor. Just because an account or an individual investment has decreased in value does not necessarily mean that a financial adviser has acted inappropriately. At Crary Buchanan, we provide consultations concerning negligence arising from improper financial advice. We invite you to call us to discuss your rights and remedies under the law.